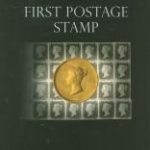 The Sarasota National Stamp Exhibition, February 1-3, 2019 will host The Collectors Club for its annual outreach program meeting. As part of its Outreach Program, the Collectors Club participates at national-level shows throughout the country every twelve to eighteen months. Typically about one hundred frames of Club exhibits are entered into each show. Awards are by the show judges. Three special awards are presented for Club members’ exhibits at the Annual Lichtenstein Awards Dinner in each of these categories: Best U.S. Classics Exhibit; Best U.S. Modern Exhibit; and Best Foreign Exhibit.